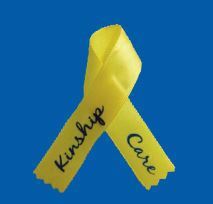 September is National Kinship Care Month. More than 9 percent of Virginia children and youth live in households headed by a grandparent or other relative who is not a birth or step-parent. Nearly 67,000 grandparents are responsible for their own grandchildren under age 18 (US Census, 2013). Children and youth raised in kin care are more likely to experience learning and behavioral challenges. Grandparent and other relative caregivers often face financial, child care, housing, emotional and other hurdles. This month we are reminded of the contributions of kinship families in providing stable, safe and loving homes for children and youth. Help honor this important month with suggestions from the Kinship Care Month Guide: Strategies for State Action. Virginia's House of Delegates issued a House Joint Resolution designating September as Kinship Caregivers month. Back to school can be stressful for caregivers and parents too! Join us October 7 in Fairfax for Back to School: Practical Tips for Dealing with Caregiver Stress and Avoiding Burnout with therapist Joy Koeppen. REGISTER for this free evening session! Enjoy a Panera treat on us! Bring your favorite education, social service, counseling or other professional with you on October 27 for our Trauma Awareness Training for Families and Professional Partners in Fairfax. Learn the basic signs of trauma and how to respond at home and in the classroom. Parents/caregivers and professonal partners who attend in pairs or groups will receive a Panera gift card! Raising Middle or High School Students? Will They Be Ready to Graduate? Virginia offers several diploma options for all students and students with disabiltiies. The courses students take in middle and high school can impact their ability to earn certain diplomas, so start planning early. On August 25, Virginia Department of Education Transition Specialist Marianne Moore presented a timely and very helpful webinar overview of recent changes that impact graduation options. The webinar and her presentation slides are now available for replay and viewing on our Resources webpage. Q: My wife and I have a 16-year-old son whom we adopted from Russia when he was 2 years old. He has been diagnosed with fetal alcohol spectrum disorder (FASD) and we have really struggled to find appropriate services that meet his mental health and safety needs. He has been in residential treatment facilties twice and now is back home again. What suggestions do you have for us to support him into early adulthood? A: Formed Families Forward hears from many families raising children and youth who have been impacted by prenatal exposure to alcohol and drugs. The impact of the brain damage caused by such exposures is significant, often resulting in serious learning, behavioral and social/emotional problems that can last into adulthood. September 9 is International FASD Awareness Day. The FASD Center for Excellence offers some great resources on FASD awareness and intervention. At 2 pm eastern, tune into the free Healthy Baby, Healthy Live Provider Perspectives and Roles in Addressing FASD webinar . If FASD, TBI, Autism or PTSD impact your family or clients, consider joining FFF for our 4-session Fetal Alcohol Spectrum Disorder and Other Neurobehavioral Conditions: Understanding a Brain-Based Approach. Led by national FASD expert Melissa Elligson, the four Thursday evening sessions October 15- November 5 will cover fundamentals of the neurology of these conditions and research-based practices to address them. First and last sessions will be on site in Fairfax; October 22 and 29 will be conducted via Webinar. Finally, our webpages on FASD and other brain-based conditions and on transitions to, through, and after high school life feature great resources. September 29-30- Building a Trauma-Informed Nation, in DC and via Webcast. October 7 - The Message of Behavior, hosted by Loudoun County Public Schools Parent Resource Center, Ashburn. November 13- 15- Project LIFE Youth Conference for foster youth and young adults, Bristol. Our Stronger Together peer support group for youth and young adults and co-timed parent/caregiver group resume in October. Teens and young adults age 14-22 who have lived experience with special education, mental health, courts, or child welfare are welcome to join the professionally-led, peer support groups. The groups are free of charge (we even serve dinner!) and meet in Fairfax city. Let us know if you might be interested in joining the group and getting "stronger together"! Thanks to some volunteer time from a fabulous high school DECA marketing leader, we are Tweeting like crazy! Follow us!